Sanibel fly fishing is arguably the best in the whole country. 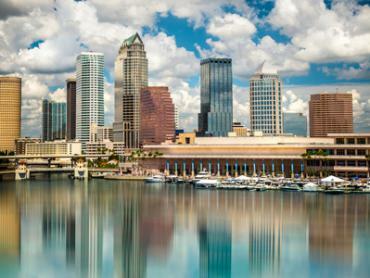 The area is blessed with mile after mile of shallow grass flats, which drop to six inches of water or less at low tide. 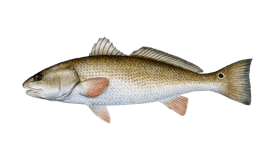 Then there are the fish themselves: permanent populations of Trout, Redfish, Snook, juvenile Tarpon, and Ladyfish are a big draw all year round. Throw in seasonal migrations of Pompano, Permit, and monster Tarpon, and you begin to see what makes this such a fly fishing paradise. 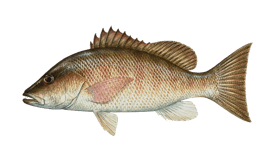 What Can I Expect from a Fly Fishing Trip? 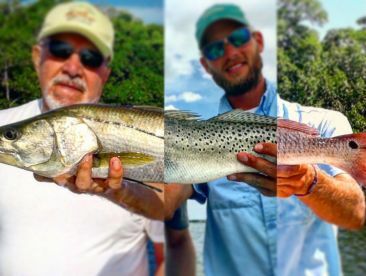 There are a dozen great spots for fly fishing near Sanibel, each with their own unique perks. 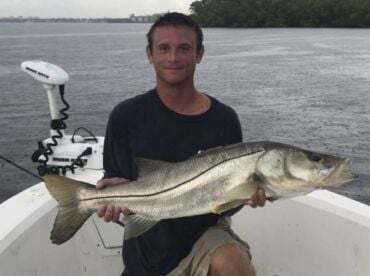 For sheer beauty, nothing can beat Bowman’s Beach, rated one of the ten best beaches in the world by US Travel News and home to some truly enormous Snook. The stumps and trunks of fallen trees cover the shallows in places and make for the ideal hunting grounds for mature Snook. This will give you endless hours of joy while the rest of the family swims and sunbathes the day away. If you want to escape the crowds and get deep into Sanibel’s backcountry, look no further than the Ding Darling National Wildlife Refuge. 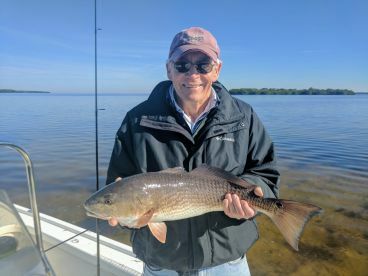 In the fall and winter, when the waters are at their clearest and the tide is nice and low, the refuge becomes a playground of skinny waters and tailing fish. 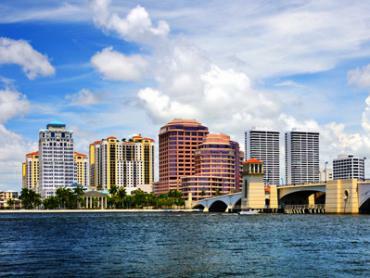 Expect an army of Trout and plenty of big Redfish, as well as some decent Snook and visiting populations of Pompano. 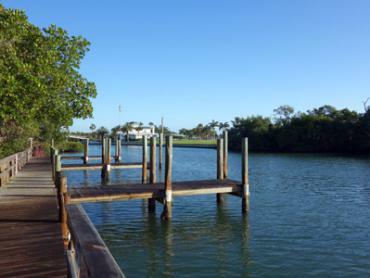 Sanibel is not just for snowbirds, though! 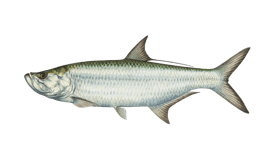 During the summer, huge migrations of Tarpon swarm the shallows in spots like Pine Island Sound and the Causeway Islands. And how could we cover the silver king without at least mentioning his castle? Tarpon Bay got its name for a reason and is always a great place to practice placing your flies for hungry Tarpon to gobble up. 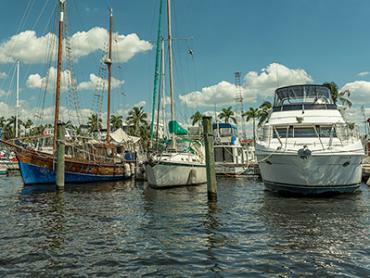 Sanibel fishing charters usually cost $100 an hour, no matter the trip length. You may be able to knock 50 bucks off the price for a full day trip, though, and you will get more than your money’s worth no matter how long you fish for. The advantage of staying out longer is that you can target every species in their top habitat, ending the day with dead arms and prize-worthy catches of half a dozen different fly fishing favorites. 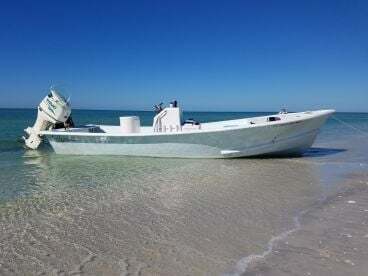 Sanibel’s specialist fly fishing charters stock some great equipment, but every fly angler worth their salt prefers to bring their own. 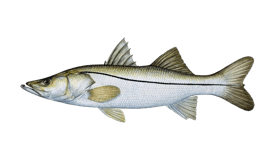 Down here in Sanibel, shrimp and crab pattern flies dominate many species, but white Schminnows and Deceivers are the best for targeting big Snook. Colorful popper flies are also a lot of fun and can draw in some real monsters on an early summer’s morning when the waters are cloudy. 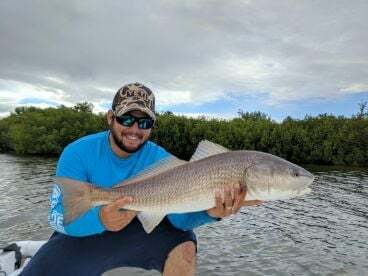 "Day of fishing with Capt Blake"
Great time on the water with one of the most knowledgeable Backcountry Captains in the Sanibel/ pine island sound area. 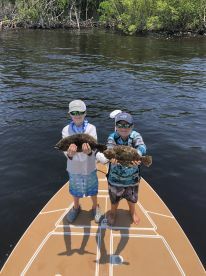 If you want a top quality fly fishing trip in SW Florida, Flats Fish’r charters and Captain Blake should be your choice.